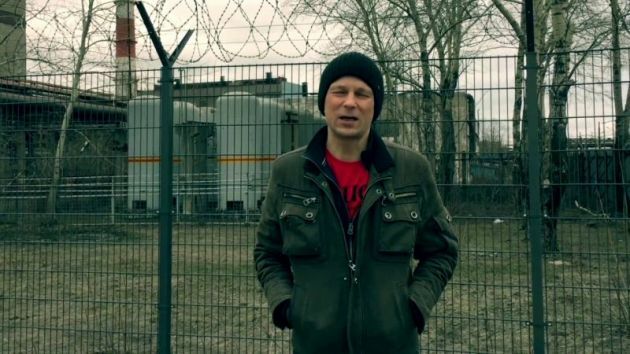 Punk rocking is not often associated with the Jehovah's Witnesses, but Russian punk rocker Fyodor Chistyakov has recently said he will not to return to his homeland from the United States. Chistyakov cited Russia's new ban on the Jehovah's Witnesses, Radio Free Europe reported on its website. He says the religious group has had an excellent influence on him from some troubled days when he was younger. Russia's Supreme Court ordered the disbanding of the Jehovah's Witnesses on Russian territory on July 17 and the ban came into effect after the court rejected an appeal by the religious group against a ruling in April which declared it to be extremist. A member of the Jehovah's Witnesses since the mid-1990s, Chistyakov told the Russian newspaper Novaya Gazeta in a telephone interview from New York published on July 31 that he "has no other choice" than to stay in the United States. "I cannot openly follow my religion [in Russia] now. And that is a trauma itself even when I am not in jail, although incarcerations are taking place already," he was quoted as saying. Chistyakov is known as Dyadya Fyodor (Uncle Fyodor) and has led the groups Nol (Zero) and the Fyodor Chistyakov Band, and has been on tour in the United States for several months. In recent years, there have been a growing number of reports of worshippers at Jehovah's Witnesses congregations being targeted for harassment, Radio Free Europe reported. A 2009 documentary called Beware: Jehovah's Witnesses branded Chistyakov "a brainwashed sectarian." The group Nol was popular in the Soviet Union, and then in its former republics, in the late 1980s and the 1990s. Chistyakov was born in 1967 in what was then Leningrad and is now St. Petersburg. In 1992, while staying at the summer cottage of the well-known rock party-goer Irina Linnik, Chistyakov attacked and wounded her with a knife, the Russian website IC reports. Subsequently when he was interrogated Chistyakov said he committed the action because she was a witch. He spent about a year in prison and then was sent for compulsory treatment in psychiatric clinic, where spent one more year. In 1995, Chistyakov joined the Jehovah Witnesses, which he says rescued him and in 1997, he started his solo career. Russia's move to ban the activities of Jehovah's Witnesses using anti-extremism legislation in a lawsuit are "extremely worrying" three United Nations human rights experts who condemned the suit, had said in April. "This lawsuit is a threat not only to Jehovah's Witnesses, but to individual freedom in general in the Russian Federation," the experts said on April 4. "The use of counter-extremism legislation in this way to confine freedom of opinion, including religious belief, expression and association to that which is state-approved is unlawful and dangerous, and signals a dark future for all religious freedom in Russia," they stressed. Thomas J. Reese, a Jesuit priest, who is chair of the U.S. Commission on International Religious Freedom, also criticized the Russian action. "The Russian government's latest actions appear designed to eliminate the legal existence of Jehovah's Witnesses in Russia," he said in a statement. "If the Supreme Court rules in April that this group is 'extremist' it would mark the first time that Russia legally has banned a centrally-administered religious organization and would effectively criminalize all Jehovah's Witnesses' activity nationwide.